Heat oven to 375°F. In large bowl, beat brown sugar, peanut butter, butter and egg with electric mixer on medium speed until creamy. On low speed, beat in flour, baking soda, baking powder and salt. Stir in peanut butter chips. Shape dough into 1 1/2-inch balls. Coat balls with granulated sugar. On ungreased cookie sheets, place balls about 2 inches apart (do not flatten). Bake 9 to 12 minutes or until light brown. Cool 5 minutes; remove from cookie sheets to cooling racks. Cool completely; store tightly covered. 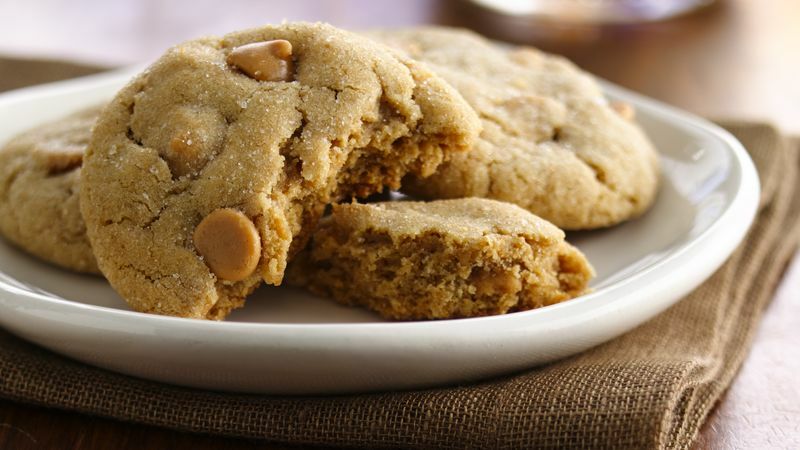 Gold Medal® White Whole Wheat flour can be used in any recipe. It’s the best of both worlds—100% whole grain but with a lighter taste and color. Start substituting 25% or 50% of the all-purpose flour with Gold Medal® White Whole Wheat flour, gradually increasing proportion as desired.